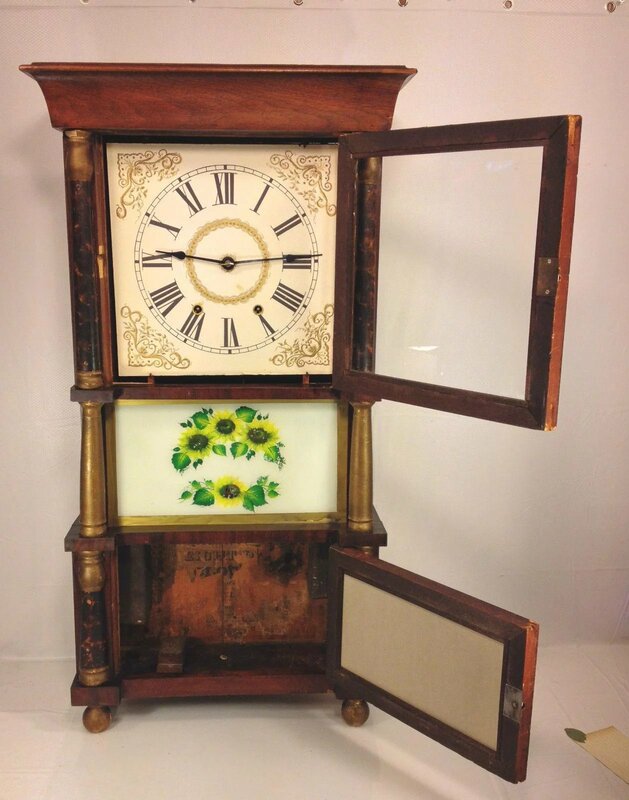 Here is a nice Antique Triple Decker OG Clock for your buying consideration. Would make a great gift for a special occasion or keep for yourself. 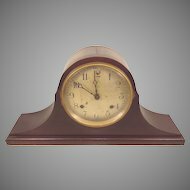 Great looking clock here. The pieces, case and movement are all there. 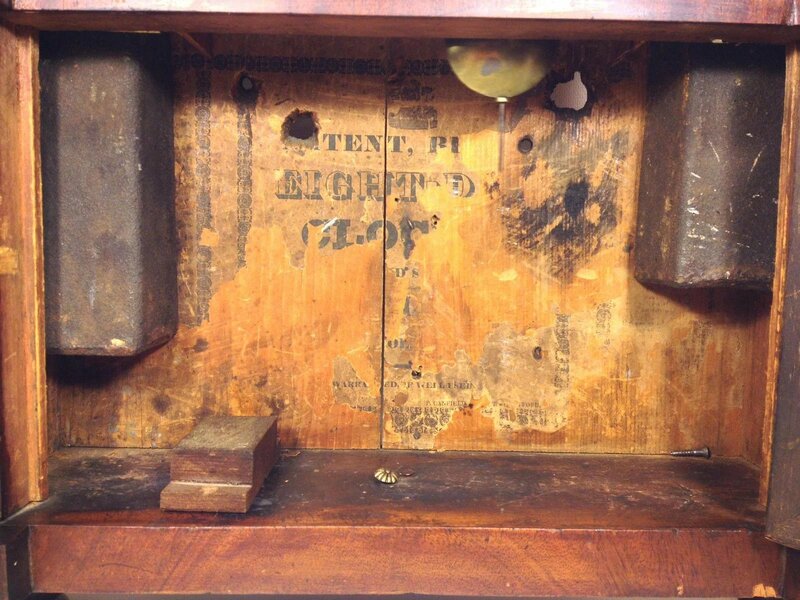 Just needs some tender loving care to restore it to a truly fabulous piece. 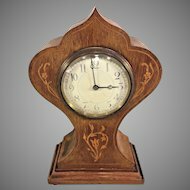 Probably made in the 1860s to 1870s time frame. Nice wood and veneer. 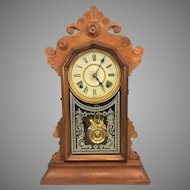 Some finish,some dings, and veneer loss, but this clock still has a great look to it. The top door of the case is a little loose by the top hinge and needs some attention. The bone insert that would have gone around the top door key hole is not there. 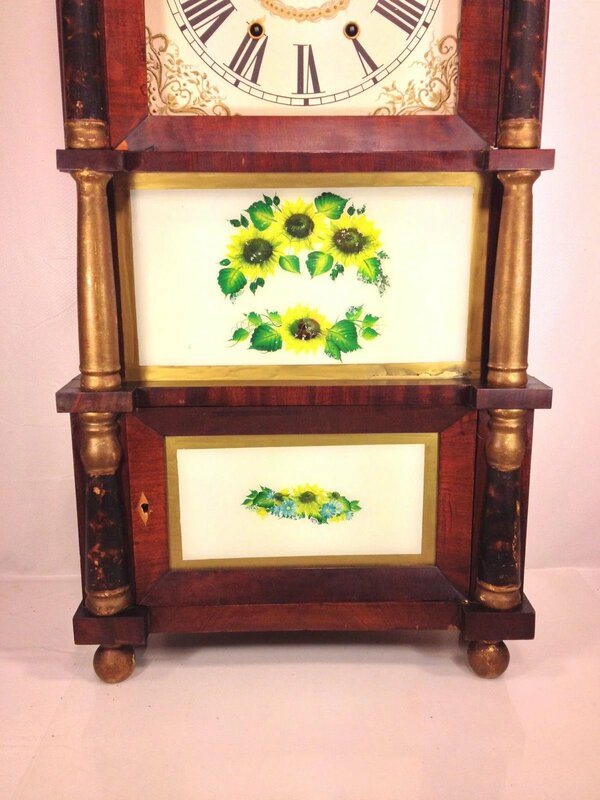 Beautiful columns on either side of the clock case front that have gold colored toppers and bases. Bottom door is securely attached to the case. The middle piece is fixed, as is appropriate, to the case. One of the dust covers for the top wheels the weight cords go over is loose inside the case, the other one did not come with the clock. The locks are in the top and bottom doors, but there is no key that comes with the clock for them. 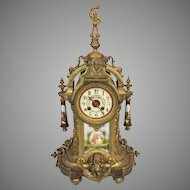 Not sure of the maker of the clock. 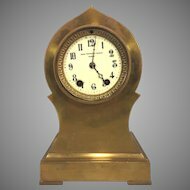 This is definitely an 8 day brass movement US clock. Can make out the printer name (Canfield) on bottom of the paper label that remains inside of the case. 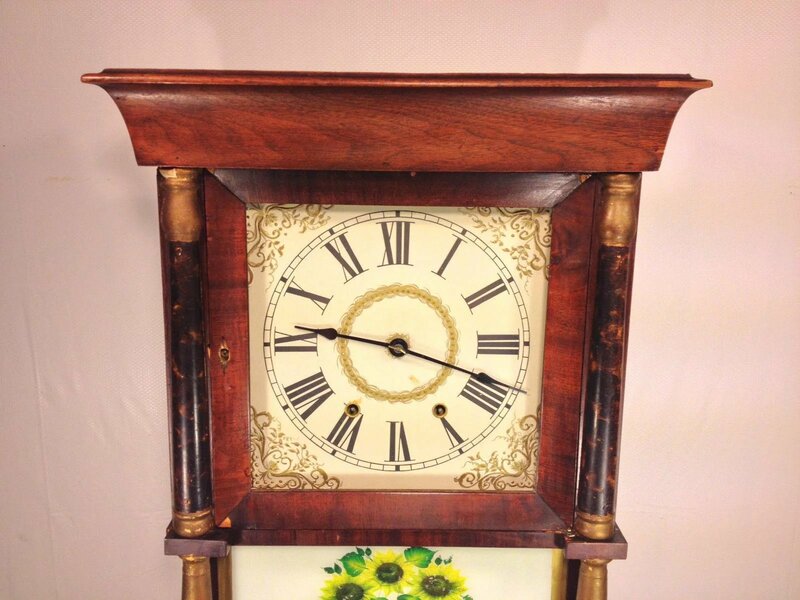 My guess is this is a C and LC Ives Clock out of Bristol, CT from what I could match it up with online. Nice repair shop label was attached to the top of the back of the clock case as well. 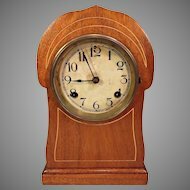 The movement in this clock looks pretty clean, probably cleaned in past 25 years. The movement does look appropriate to the case. 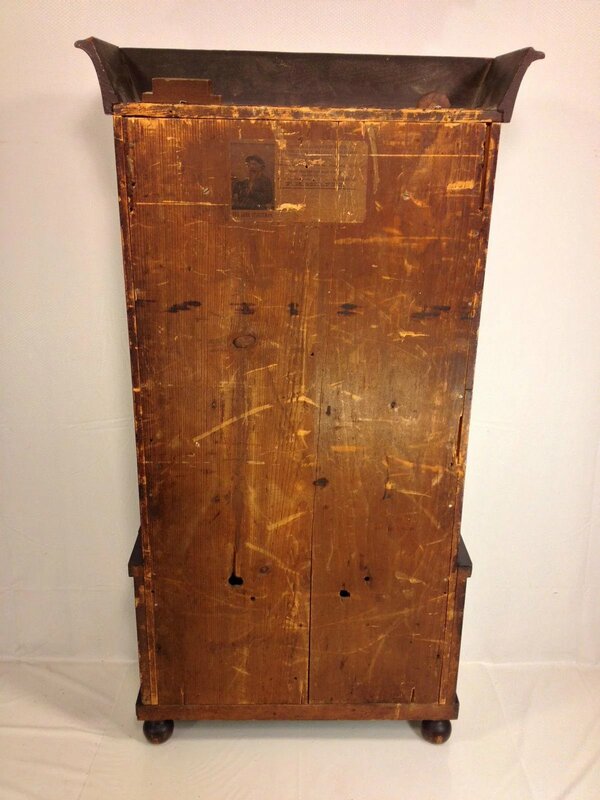 The top wood block that holds the movement in place looks to be newer than the case itself. 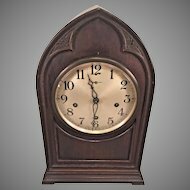 The clock does run and strike, just required some minor adjusting. 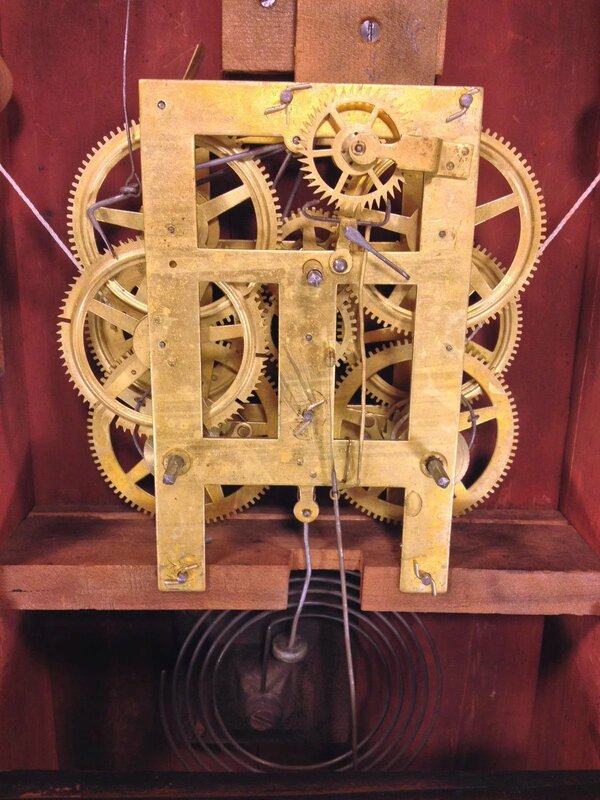 The drop lever for the strike hours still needs some adjusting to catch correctly each hour. The previous owner used nylon cord for the weights. The left one for the strike weight shows some fraying. I would suggest that both cords be replaced with heavier cords before you run the clock. The weights with this clock look appropriate to it. 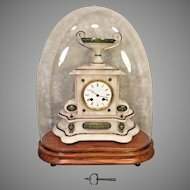 The clock will come with a vintage wind key. The glass in the three levels is intact, no cracking or blistering. Love those 70s paper inserts on the inside of the two bottom pieces of glass. Obviously not original, let alone appropriate, but will leave that for you to decide how the clock should look. 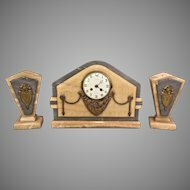 Replacement inserts are available online so that you can capture any theme that you care to for the room and decor that you will be placing the OG clock in. 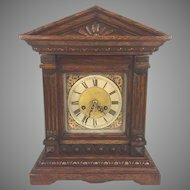 The clock stands 36" tall, by 18" across, by 6.75 " wide. Let us know if you have any questions or need additional pictures. 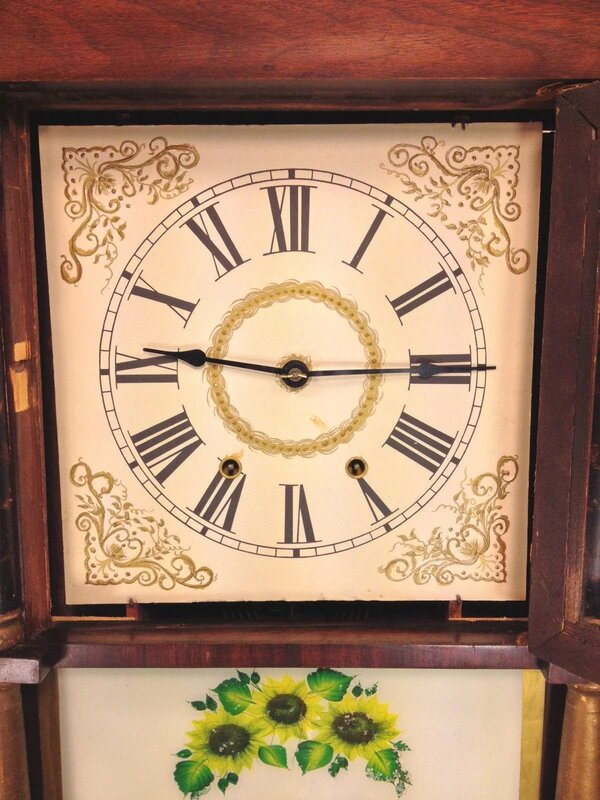 As can be expected when dealing with an antique clock, some adjustments may be needed after shipping to get the clock re-running correctly again as they can be very delicate. 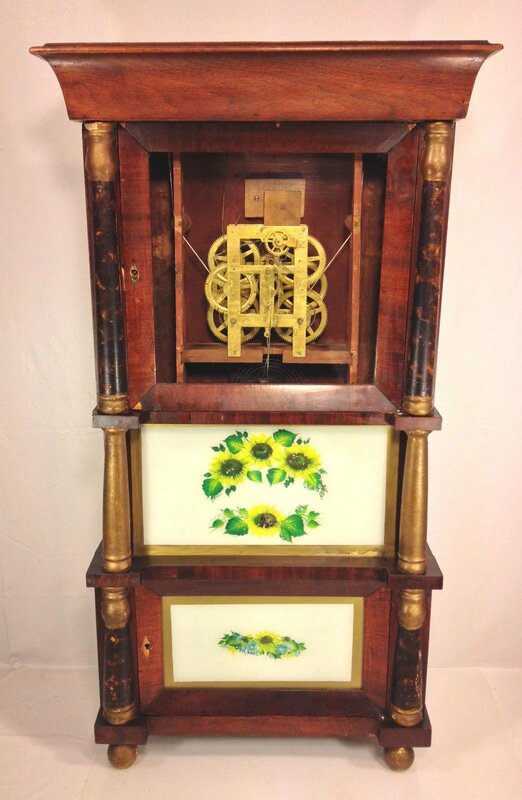 If you have not had experience with old mechanical clocks before, I would suggest you steer clear. One really needs to have the patience, and skill to work with these great works of art. They are not our modern plug in and go, or change the battery clocks. Please ask any questions relating to this matter, before you decide to purchase it. 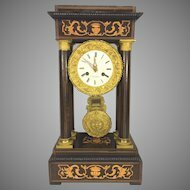 Make sure that this clock meets your needs and requirements before deciding to acquire it. The item can be returned, there is a 10%restocking fee to do so. So, please carefully review all the attached pictures, ask all the questions you have, come see in person or send a friend to see the item on your behalf, prior to deciding to acquire it. Don't be shy to make an offer, we are always open to reasonable suggestions! 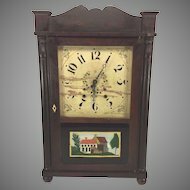 This Antique Clock is for local pickup in Wilmington DE. Buyer is also welcome to make their own packing and shipping arrangements as well. 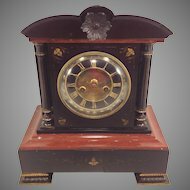 I have had a lot of clients use blanket ship companies like Antiques Express for higher end furniture pieces like this one. Our clients also use our local UPS store for their packing and shipping needs. To get a quote to your location just let us know and we will send the contact information over to you. 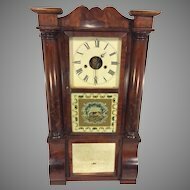 We will also offer to deliver the Antique Clock within 50 miles of Wilmington, DE one way. Price would be $.60 per mile for the round trip delivery plus any tolls/parking fees. So, for example, if 40 miles to your property and $10 in tolls, it would be $58 (2*40*$.60+$10) for seller to deliver item to you. 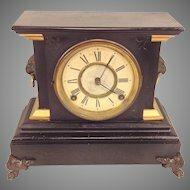 Please check out our other Timeless Tokens store listings as we are regularly adding new items. 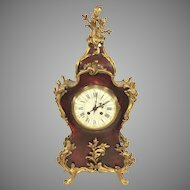 We specialize in antique and vintage artwork, books, collectibles, furniture, musical instruments, paper ephemera, marine/nautical, and clocks. Thanks for your business. (G14039). 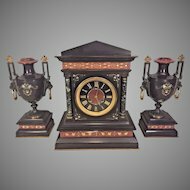 Great Antique Triple Shelf Clock to brighten your home with its' look and sound. See item description and pics below. 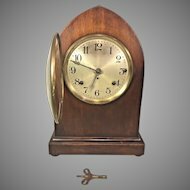 Antique Triple Decker OG Clock Approp Weights Nice Wood Case Runs and Strikes Brass Movement Partial Label Maybe Ives of Bristol, CT is Maker?